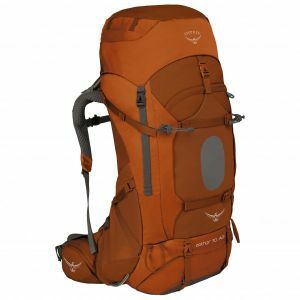 Osprey: Premium quality backpacks catering to every need! Even experienced outdoor enthusiasts go into raptures upon hearing the name Osprey. Osprey is a well-known manufacturer of high quality outdoor backpacks and bags for a wide range of uses and is firmly established in the market. 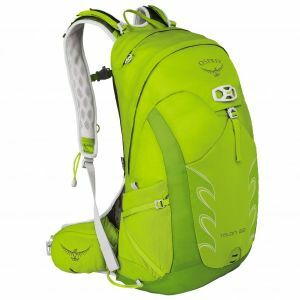 From trekking backpacks, bike and trail running backpacks and travel bags to innovative hydration systems, all Osprey products are meticulously thought-out down to the very last detail and manufactured to the absolute highest standards. This has been very close to the heart of Osprey's founder, Mike Pfotenhauer, since the very beginnings of the company in 1974. As a 16 year-old boy, his mother taught him how to sew on an old sewing machine, in order to make his very own backpack. Even back then, the quality of these individually hand-made backpacks seemed to win over many and, before he knew it, turned into something of an insider's tip through word of mouth alone. The young company displayed a vibrant passion for innovation. For instance, Osprey was the first backpack manufacturer to take into account the special requirements of the female anatomy and to introduce backpack models specifically for women to the market. It was this kind of innovative thinking that resulted in countless specialized advancements for a wide range of uses and customers. So it's only logical that the founder continues, just as before, to bring his own know-how and vast wealth of experience spanning almost forty years to the development of backpacks. At the very least, Osprey can be seen as consistent with regards to its company culture! Osprey exclusively produced small batches at its headquarters in the USA until 1987! The company first moved to Colorado in 1994 when it began professional series production.For the relocation of production to Vietnam, Pfotenhauer moved to Hoh Chi Min city in 2003 with his family for four years, in order to supervise operations and also to ensure that the local employees were trained, motivated and their skills developed accordingly. This is characteristic of Osprey and the reason why their employees in Asia are able to produce autonomously in their own design center, in line with Osprey's strict quality requirements. Today, Osprey products are regarded as high quality, practical and ingeniously designed! It doesn't matter whether you're looking for a trekking backpack, a daypack for the commute to work, a life-long travel trolley or a kids' carrier. The fit, load distribution, practical features, quality and, not least, the look will all leave you amazed from the moment you start using any Osprey product!That's why Osprey gives a lifelong guarantee to all its backpacks. Damages are either repaired or if that is not possible, the product replaced without further ado.